Many Kickstarter campaigns don't make it to their goal the first time out. There's no shame in that, really. "If at first you don't succeed, try, try again." wouldn't be a saying if there weren't truth in it. 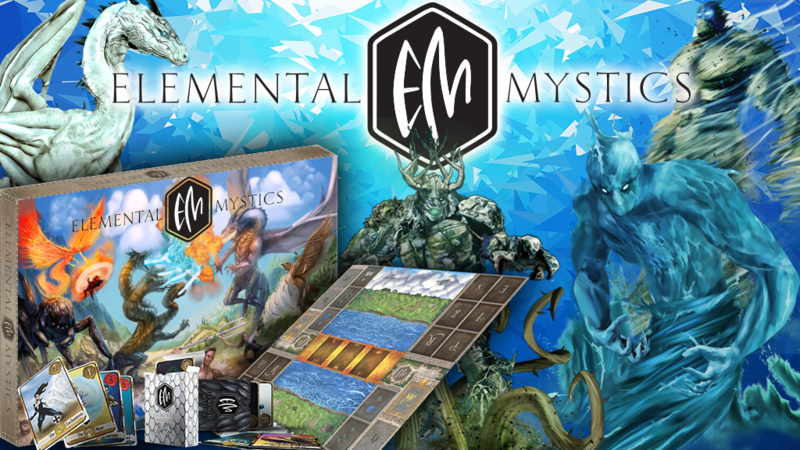 The folks behind Elemental Mystics didn't make it their first time on Kickstarter. So they've reconfigured, retooled, restructured, and have relaunched their campaign to bring you their card game of mythical monsters. 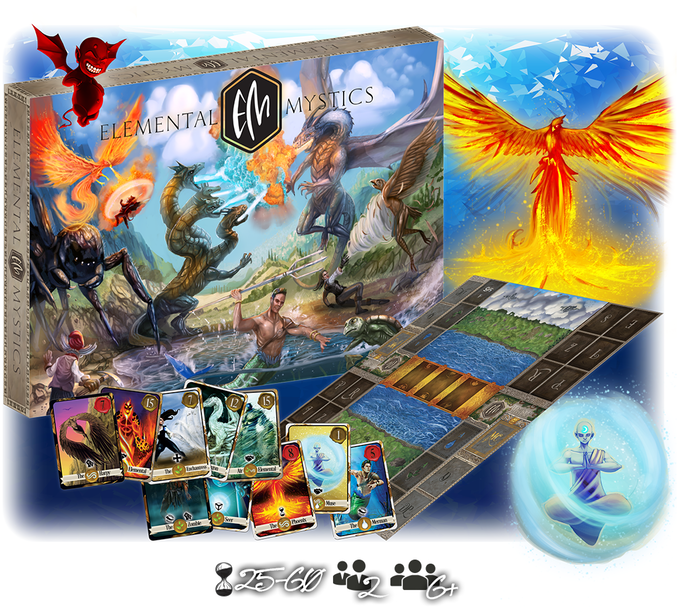 In the game, players take control of either the forces of Light or Shadow, picking their deck full of various monsters associated with that type. Will you go to battle with dragons, griffins, and elves with the Light deck, or will you do battle with trolls, vampires, and werewolves with the Shadow deck? You'll then class across land, sea, and air, using your creature's special abilities to ensure victory. You can either play a quick, streamlined single game, or you can go for the much more tactically deep tournament rules. This new campaign is up and running now and is set to go for another 25 days.